MSCA has established a scholarship fund for the benefit of its members. The object of the scholarship award is to assist members with the cost of obtaining World at Word Certifications. Membership must be current to receive the award. One member per year will be eligible for the scholarship. The award shall be announced and presented at the annual seminar. The recipient is responsible for the costs associated with attending the annual seminar. Seminar attendance is not a condition of the award. The President shall appoint a board member to serve as the Scholarship committee chair and two additional members to serve on the committee. The Scholarship Committee will have a minimum of three members. Applications shall be made to the appointed scholarship committee. The President will serve as the governing board of the Scholarship Committee. The Scholarship committee shall select at least one recipient per year. Applications are due by June 30th of each calendar year. The scholarship award amount will be paid directly to World at Work based upon the recipient course selection. The President and committee chair shall notify the scholarship recipient by email. The President and committee chair shall present the award during the annual seminar. The scholarship awarded per year in the amount of one thousand three hundred fifty ($1,350.00) dollars. 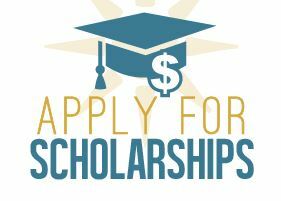 The scholarship award recipient can split the payment into half to attend two courses of his/her choice or one course for the entire amount of $1,350.00. Any current member may apply including past and current MSCA scholarship recipients. Member must be pursuing a certification by World at Work.